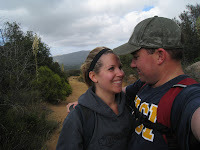 Ashley and I had the chance to hike the Bear Canyon Loop several months ago, which is a great hike almost along the county line of both Orange County and Riverside County. 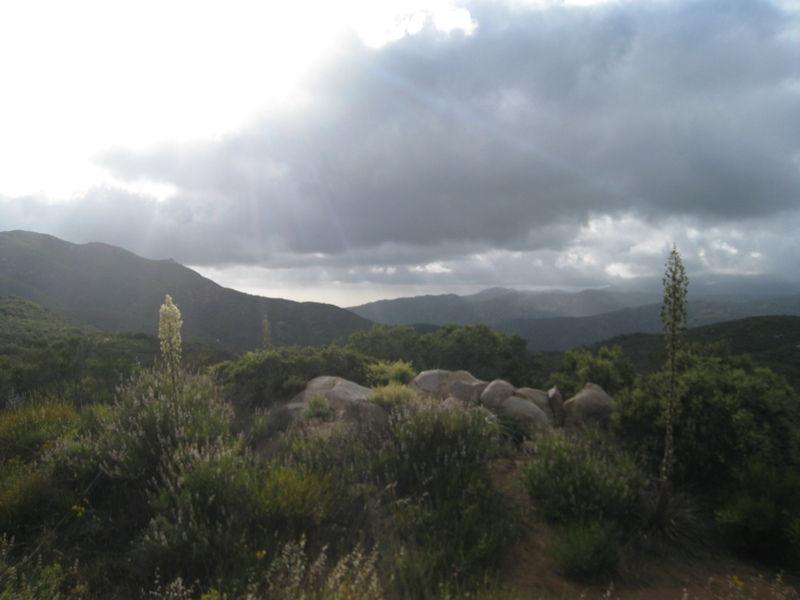 The Bear Canyon Loop is a great hike that offers amazing views of the Santa Ana Mountains. 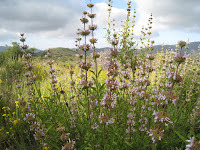 It is also a great place to see wildflowers during a wet rainy season in Southern California. 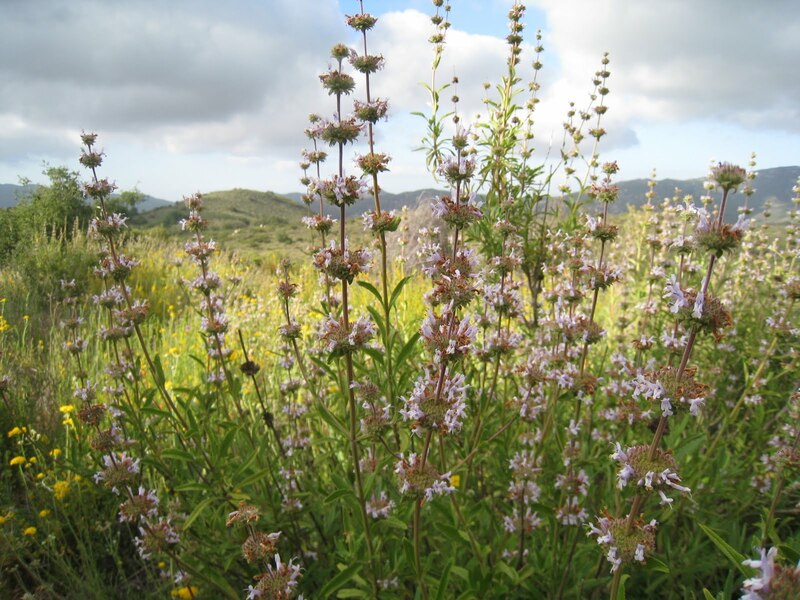 If you are looking for a great hike in the Cleveland National Forest and the opportunity to see wildflowers after a rainy season this is the hike for you. Directions to Trailhead: To get to the Bear Canyon Loop Trailhead, coming from Orange County, take the 74 (Ortega Highway) going East toward Riverside. Park across the street from the Ortega Oaks Candy Store off of Ortega Hwy. The trailhead to hike the Bear Canyon Loop in the Cleveland National Forest is located right behind the Ortega Oaks Candy store. A map of the area can be found below in the Google map. You will need a Forest Adventure Pass to park at the Bear Canyon Loop Trailhead. One can be purchased at the Ortega Oaks Candy Store across Ortega Highway. Description of Hike: The total distance of the Bear Canyon Loop Hike, is 6.8 miles roundtrip. The trail is well maintained and there is easy access to the trailhead as well as ample parking at the trailhead. From the trailhead you want to take the bear canyon trail to the 4 corners area (about 3.5 miles in where the Verdugo Trail, the Tenja Trail, Bear Ridge Trail and Bear Canyon Rrail meet). Once you hit the 4 corners area, you are halfway done and want to take the Bear Ridge Trail back to complete the loop. This is a popular entrance for hikers into the San Mateo Canyon Wilderness and you are likely to see others while out on this hike. The elevation gain is approximately 1,000 feet and it will take you between 2.5 - 4 hours to hike the Bear Canyon Loop depending on your pace. The trail is well marked with signs indicating the trail names. Further Thoughts: The Bear Canyon Loop is a great trail to hike in the Cleveland National Forest. 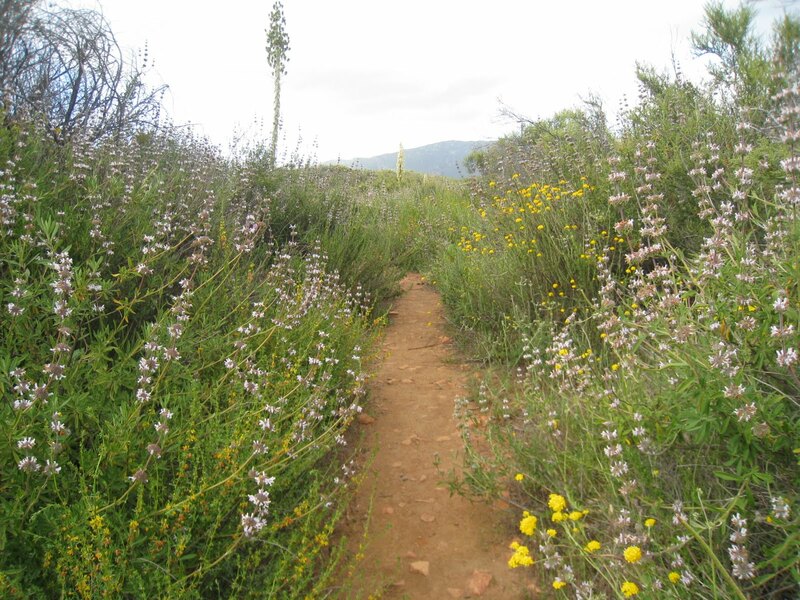 The hike is located in the San Mateo Canyon Wilderness which is an awesome place for Orange County Hikers to visit. It was very cool to do this hike after a winter where Southern California received a lot of rain. Due to the large amount of rain, several streams in the area were full with running water. This was the first time that Ashley and I had seen the streams in this area full with water and aquatic wildlife. 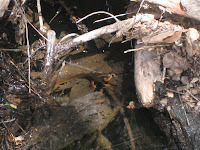 The streams had newts, tad poles, and frogs in them as well as many other types of local aquatic wildlife. On this hike we ate lunch at one of our favorite locations, the 4 corners area. The 4 corners area is the halfway marker on this hike and is a great area to stop if you are looking to enjoy lunch or take a break. The views at the 4 corners area are pretty good and it is a large open area with several places to sit. 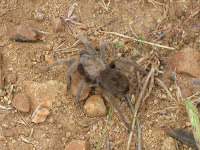 On this hike we also saw a tarantula as well as other wildlife like hawks and turkey vultures. The wildflowers were in full bloom when we did this hike. It is a great hike to do if you are looking to see wildflowers after a good rainy season. Note, if you are doing this hike in the summer make sure to bring plenty of water and wear sunscreen. Additionally, the bugs can get pretty bad after a wet rainy season, so throw in the bug spray as well. Rating: Elevation Gain: 1,000 ft. (Moderate), Distance: 6.8 Miles Roundtrip (Moderate). Time to Complete Hike: 2.5 - 4 hours. I've done this hike a couple of times, went to Sitton Peak once. On clear, cool days it's a fun hike to do (never tried it during the summer). 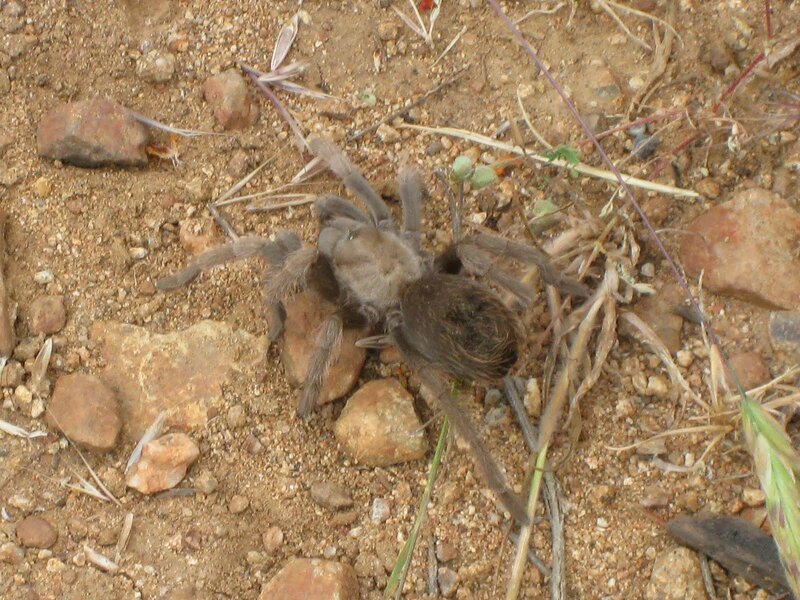 Like the tarantula pic!